This morning I successfully defended my thesis before my dissertation committee. What an experience! Now that it is more or less assured that I will successfully meet all the PhD program requirements I am feeling overwhelmed by a sense of gratitude to all the people that have been a support to me during the program. First off I’m thankful to God for his lovingkindness and faithfulness. There have been a lot of times when I missed the mark but God continued to bless our family, the dissertation process, and our ministry. The completion of the dissertation is another milestone for marking God’s faithfulness. I’m also thankful to Jana, Elisabeth, and Max for being patient, supportive, and longsuffering. During the course of our home assignment this summer I have continually been reminded of the number of people that are praying and thinking of us, encouraging us, and providing us with all kinds of practical help or material support. It’s humbling to realize that I will be the only one who receives the diploma when I know there are so many other people who have made real sacrifices to help me to this milestone. It inspires me to be faithful and use this gift for God’s glory and the building of his kingdom! It seems the first question my primary examiner placed before me this morning had just enough of a twist to throw me for a bit of a loop. That was a crucial point in the hearing. It got me through the jitters and from there on I felt comfortable answering all their inquiries. The defense really was challenging. 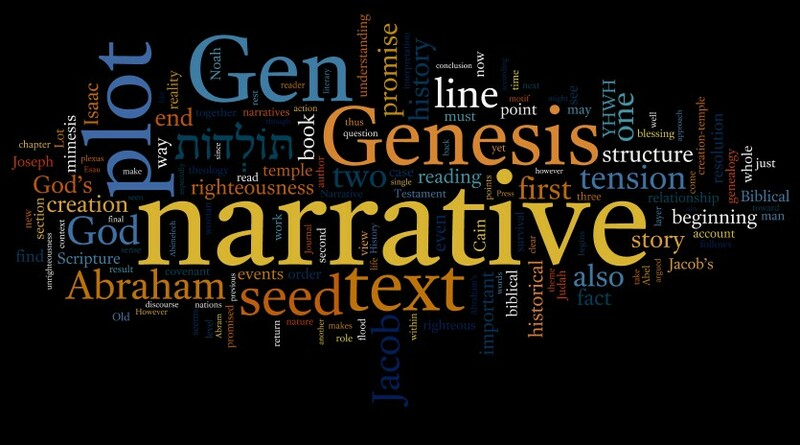 Experts in Genesis were confronting me on issues where they had done their own research and come to their own interesting interpretations of the text. They used their observations and expertise to take me to task on my interpretation. And yet as we interacted it felt more like a discussion and an “exploring together” than an examination. We were all discussing our views of the text, bringing up different details that the others might not be putting enough weight on. It was an exhilarating experience. I think I would compare it to a rookie coming up against an ace pitcher at his first at bat in the Major Leagues and getting a base hit. There were a few comments during the defense that made me feel like I had accomplished what I had set out to do and I thought I’d share those here. As my two examining readers took their turn at challenging my thesis they each began by expressing their gratitude that I did not shy away from an ambitious task. (I should also mention that each of those statements was also followed by a “but…”) In the first case my reader was referring to the fact that I delved in to the philosophy of history and mimesis and the relationship of those topics to biblical studies. In the second case the reader mentioned the fact that I dealt with the whole book of Genesis and not just a single chapter. Those comments were important to me. Early in the process I began to realize that the topic I was studying was really important and worthy of everything I could give to it. At that point I made a conscious decision that I would not take any shortcuts, but that I would invest the time and energy to “pay due respect” to the topic of study that I felt God had given me. When I made that decision I also decided that the dissertation was going to take me longer than my original plan. That’s not easy. Being a missionary means living in a fishbowl. A lot of people have their eyes on me. And then there’s the important fact that there are many people that are sacrificing financially in order for me to pursue this study. I have a responsibility to be faithful to them and their support. You can imagine there were a lot of times when I was second guessing my decision to put that extra time and effort in to the research I was doing. What were those people thinking? Were they wishing I would be done already? From the beginning I had set myself the goal of writing a dissertation that would be good enough to publish. I don’t know what the statistics are, but it is a relatively small number of dissertations that end up being published. It was music to my ears when my committee recommended that I pursue publishing my dissertation. One last comment that encouraged me came at the very end when my second reader asked me to send him a copy of the final version. He said that there were a few times in the dissertation when he felt I made some very interesting observations that have caused him to reevaluate his view of Genesis and he would like to incorporate those observations in his notes for his class on the Pentateuch. If you are reading this then odds are you’re a person who cares about us and our ministry in Slovakia. I hope those comments can be an encouragement for you, helping you know that your support has borne fruit. Thank you for all you have done to support us, encourage us, and pray for us these past few years! Well done Todd. Thanks for sharing. We are so happy for you and your family. It’s a blessing to have you here in Slovakia. Rejoicing with you! Excited for the good results! Praising God for leading you to the topic and to the conclusion of your dissertation. Thank you for sharing these comments, and for the humble way you communicate to all those standing behind you. Fantasticky! Can you come over to play with me, too, more often now? I am, as I always have been, humbly impressed by your faithfulness to the Lord, your family, and your ministry.